Researching beautiful quilts and planning this show makes me want to learn how to quilt! Please bring along friends and family that are new to the quilting world to enjoy this inspirational event. Or- encourage them to participate by submitting a quilt for our Quilt Challenge (the quilts are smaller!). You don't have to be a veteran to submit. The more the merrier! This is one of my favorites so far from the Project Modern Challenge. 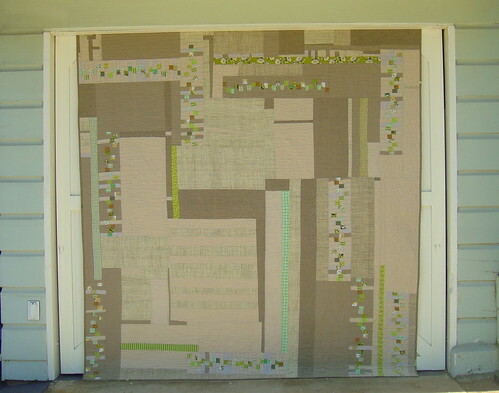 Have a favorite quilt you've seen lately? Send me a picture and let me know where you found it and we'll post it!